Onora O ‘Neill is one of the most distinguished and influential philosophers of her generation. Her bold, scholarly and deeply humane work has shed light on some of the most pressing intellectual and practical challenges of our time. Her early work transformed our understanding of Kant. Acting on Principle (1975) gave a novel account of the relationship between morality and rationality in Kant. Constructions of Reason (1989), argued, much against received wisdom, that Kant saw reasoning as requiring that we make it possible for others to understand what we say and to grasp what we do. In an era where the quality of Kant scholarship has been unusually high, her preeminence signifies an achievement of the highest order. But her scholarship did not just transform our understanding of Kant. Her books added an unprecedented vibrancy to the resurgence of interest in his work. In particular, her thinking about the requirements of public reason added great subtlety to a debate that has engaged some of the most powerful intellects of our time. Her achievement became even more compelling when she turned her philosophical and moral acuity to some of the most pressing questions of our time. She demonstrated how to do philosophy in a way that measured up to the complex moral demands of the world. In books such as Faces of Hunger (1986) and The Bounds of Justice (2000), she changed our understanding of the nature of our obligations in an unequal world. While rigorously arguing for a world of porous boundaries, and a more dispersed and even distribution of power, O’Neill showed how doctrines of rights and notions of obligation require us to pay attention, not just to the needs of strangers, but to the structural conditions of oppression that mark the lives of so many people in the world. O’Neill has had an enormous impact in the wider public sphere, both in the UK and beyond. She has used her scholarly expertise and acumen to change the terms of public discourse, making philosophical issues relevant to a much wider community. This has involved generously taking on demanding institutional roles, for example, her work in the Nuffield Foundation, in the Nuffield Council on Bioethics and the Equality and Human Rights Commission. She is a dedicated public servant, devoting great energy to the social and cultural good, without seeking the limelight. Increasingly, however, she has played a prominent part both in the UK Parliament (in the House of Lords, as a non-aligned “crossbencher”) and in wider public debate on subjects ranging from human rights and press freedom to end of life care. Her 2002 BBC’s Reith Lectures on the subject of “Trust,” argued that we should think more skeptically about rules and regulations that try to enforce accountability and transparency. These lectures were controversial, but also prompted a lively international discussion at an unusually high level. Here we can see O’Neill exemplifying the very philosophical principles about which she writes. O’Neill’s work has the extraordinary ability not just to engage with complex issues of global justice; it also illuminates some of the most intimate questions of morality and public policy. Her work on bio-ethics in both theoretical and practical contexts contains some of the most penetrating discussions of autonomy, trust and informed consent. But it is her ability to blend questions of morality, with an account of psychological plausibility and institutional legitimacy that makes her a powerful guide to the most profound ethical questions of our time. Her philosophical work is rigorous, yet gracious in its articulation and profoundly moved by a deep and abiding concern for humanity. O’Neill is a true citizen philosopher. 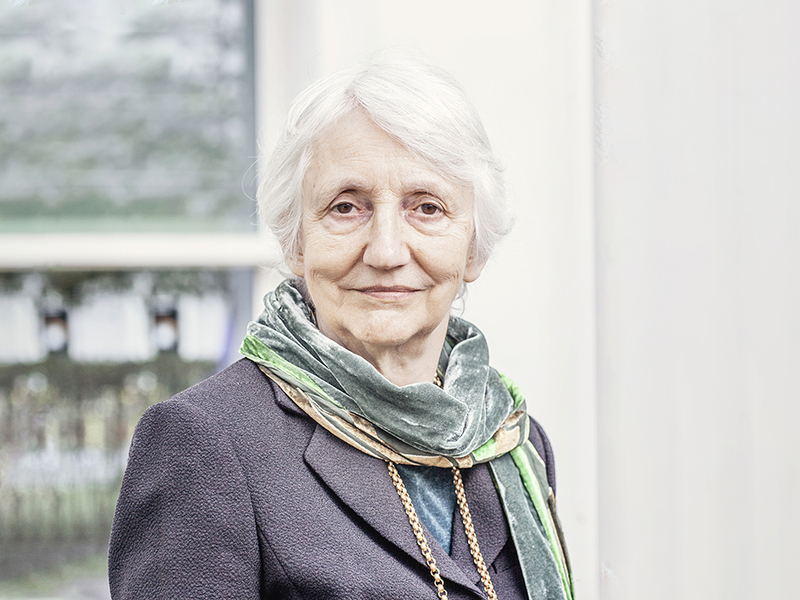 Baroness Onora O’Neill of Bengarve, is a British scholar and Professor of philosophy, former president of the British Academy and a crossbench member of the House of Lords. O’Neill has written extensively on political philosophy and ethics, in particular on the work of Immanuel Kant. Recent publications also address questions about bioethics and global justice, accountability and trust, the future of universities and the ethics of communication. She is highly regarded as a specialist on human rights.